My mother, caroline Etta Alger Bowles. Born in Berkeley in 1918, raised in San Francisco. She stepped over drunks passed out on the sidewalks of the waterfront district when her mother--carlie Gibbs Alger--walked to Peniel Mission to preach salvation to them, holding her young daughter caroline by the hand. 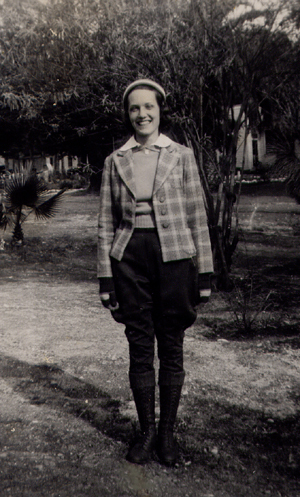 In 1939 she and her debate partner won the western division women's national collegiate debating championship in Denver, colorado. In 1941 she was pastor of the Sunset church of the Nazarene in San Francisco--but the church of the Nazarene was too small for Mama. At Berkeley Baptist Divinity School she met my father, became a wife and mother. Bad decision; she should have been a lawyer. More like a big sister than a mother to me, but one of the three people on this planet that I completely trusted.